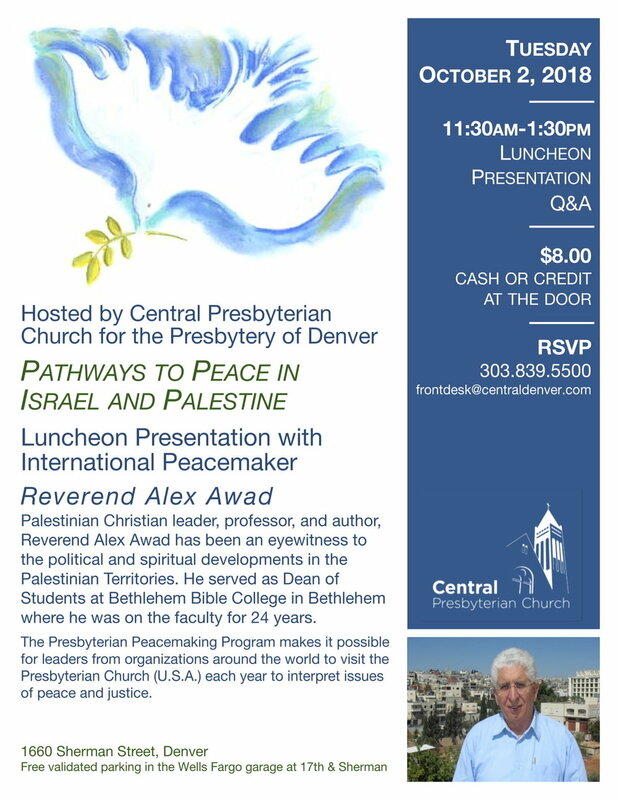 Palestinian Christian leader, professor, and author, Reverend Alex Awad has been an eyewitness to the political and spiritual developments in the Palestinian Territories. The Presbyterian Peacemaking Program makes it possible for leaders from our partner denominations and partner organizations around the world to visit the Presbyterian Church (U.S.A.) each year to interpret issues of peace and justice. These visits have informed Presbyterians, opened hearts and minds, touched lives, established relationships and inspired new ministries.